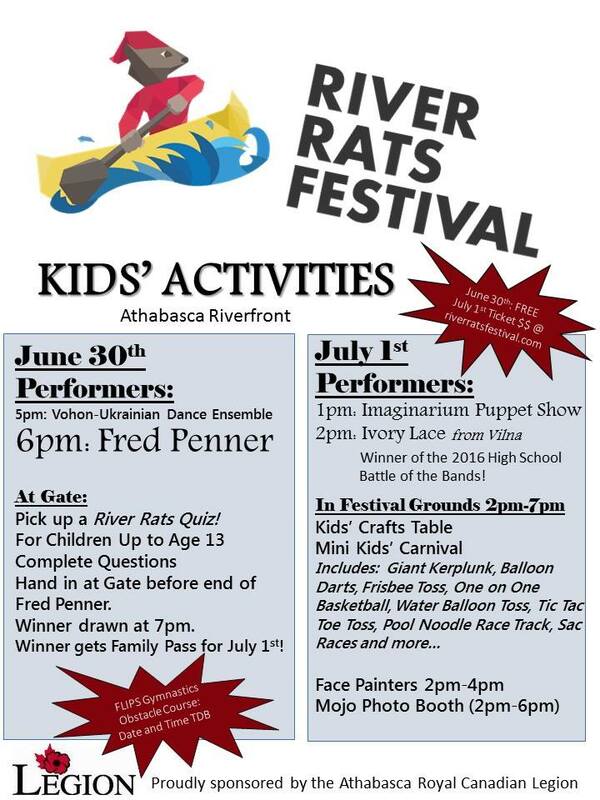 River Rats Festival happens at the Athabasca Riverfront on June 30th and Jul 1, 2016. On the 30th, at 5 pm, see the Vohon-Ukrainian Dance Ensemble followed by the legendary Fred Penner at 6 pm. Come out and bring the kids! It will be a fun day for the family.